After nearly 9 years of Stump the Teacher, it is finally time to say goodbye. I have moved my content and my rambling to joshstumpenhorst.com Please update readers, links, etc. I look forward to connecting with you all there! As teachers, we are tasked with teaching content and helping kids grow into productive and successful citizens. We are given a set of content standards we must cover and a battery of assessments to determine if we have succeeded in doing so. Our evaluations are based on how we plan and deliver our lessons as well as other professional duties. However, I think the greatest impact we have on kids is not something we can measure but simply observe. It is the impact when you see one of those “moments”. They are hard to explain, difficult to plan and nearly impossible to measure. Last week a teacher came to me and told me she had a lesson plan fall through and wondered if the kids could come to the library and read for the period. Of course, I said yes and the 30+ 8th graders settled into the library. I could tell they were burned out on reading given a week of standardized testing they had just completed. So, I pulled out our Keva planks and had them complete some building challenges. The kids were having a blast and really got into the challenges. As we neared the end of the period I gave them the final challenge of seeing how tall of a tower they could build. It was then, that the “moment” started taking shape without my knowledge. A group of boys started building and were making some great progress with their tower. It swiftly reached 5 feet and then 7 feet and then topped 10 feet. As the period was winding down, the boys kept building and me and the teacher let them keep going. The bell rang and the boys kept going. Kids began spilling out of classrooms and stopped to watch the tower being built. As the tower reached the 11-foot mark, the boys reached out to taller classmates to come over and join in the build. It was awesome. Almost the entire grade level was circling the tower and cheering the boys on. It was a “moment” to remember. The boys decided to end their build and knock their tower down to thunderous applause from their peers and teachers. 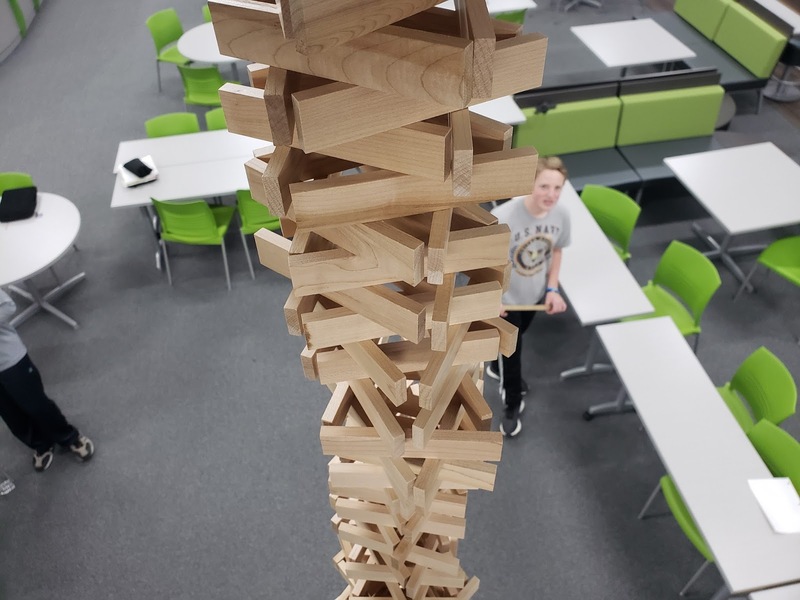 To take it a step further the group asked if they could come in at lunch to build a tower that touched the ceiling which is around 14 feet tall. Naturally, I said yes and they showed up to build again. This time we had to bring in a ladder and they succeeded in “touching” the ceiling as their classmates were coming back from lunch. Again their efforts were greeted with applause and high fives. Building the tower started out as an activity to kill some time and give kids a break from testing and reading. Yet, it became more than that for these kids. I promise you, a moment was created for them they will not soon forget. It is not something that will show up on an assessment or evaluation and not something you can measure. In fact, it is even hard for me to put into words the moment created by and for these kids. It’s was just one of those, “you know it when you experience it” moments. As teachers, we need to be better at recognizing when these moments are taking shape and let them happen. At one point I will confess a teacher stepped out and yelled at the kids to get to class during the passing period. 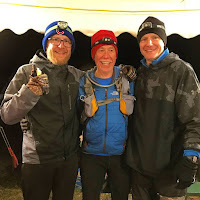 I am also happy to confess the kids didn’t listen and went on cheering their building classmates on with the full support of every other teacher in the library. Naturally, I took videos and pictures to make a short iMovie trailer to capture the moment. As I continue to evolve in my role as a Junior High Librarian and Learning Commons Director, I want to constantly reflect on my practice. 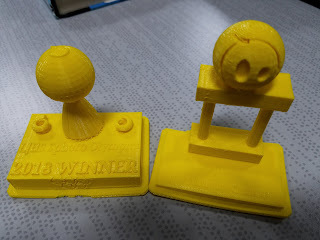 One thing I get a lot of feedback on is the work we are doing in our Maker Lab. In some cases, I have received criticism about some of the work we are doing and some of the activities we have done. For example, I have been asked why a library needs Makey Makey kits or a 3D printer. To be clear, it doesn’t. I also get questioned how a CNC desktop router or robots help support the core curriculum. To be honest, often, they do not. On top of it all, I get questioned how a library can be a center of reading and support literacy growth while having the distractions of all the so-called toys and gadgets. Every single one of those questions and criticisms are fair and in some cases accurate. Do we need 3D printers? We can easily replace 3D printers with drones, robots, Legos, Makey Makey, or a host of things we often see in library Makerspaces. The simple answer to the question is, no, you do not need any of these things in your library. On top of that, the presence of these tools won’t guarantee an innovative space or creativity among students. However, they certainly can bring about a type of learning and thinking far too often missing from our overly standardized classrooms. I have seen students use the Makey Makey to create controllers to play video games. While this may not seem like a big deal, it has lit a spark of creativity in two particular students who now spend their lunch in the library every single day to tinker and see what else they can create. The 3D printer, coupled with Tinkercad, has opened up a whole new world of design and creation for our students. Students are able to create something in the Tinkercad space and then see their design in a tangible product. The process students go through to create something in a 3 dimension format is a level of thinking most kids have little or no experience in. For most it is a struggle and takes constant revision and reworking. One of my 7th grade students had to redo a particular design numerous times before finally getting it right. The fact that students are willing to fail at something and keep going until they get it “right” is empowering for me to watch. Do Makerspaces support the core curriculum? The mostwell-stockedd library or Makerspace will not always support the core curriculum. For me there are two ways of looking at that. For one, I am completely fine with learning that is outside the core curriculum. In fact, some of the most engaged learning activities I have seen in my career have been outside the curriculum. 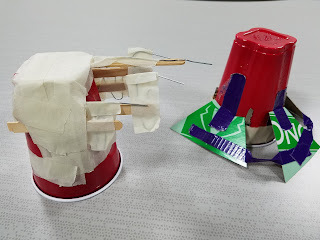 Students designing “Battle Armor” for their Spheros is certainly not on a curriculum map but I can promise a high level of learning was happening. Students were creating prototypes, testing, retooling and constantly improving their designs. In addition, the social and emotional learning that takes place in this type of competitive environment is crucial to a student’s development. Many kids who are not athletes or musicians rarely have a competitive outlet and things like this help teach those skills. I had to work with numerous kids on how to win and lose in a socially appropriate manner. The other way of looking at these activities is finding ways in which they can support the core curriculum in a meaningful and engaging way. For example, we use our Sphero robots for math students to write programs. They can then run the programs and use the sensor data to create linear equations which ties directly to their content. 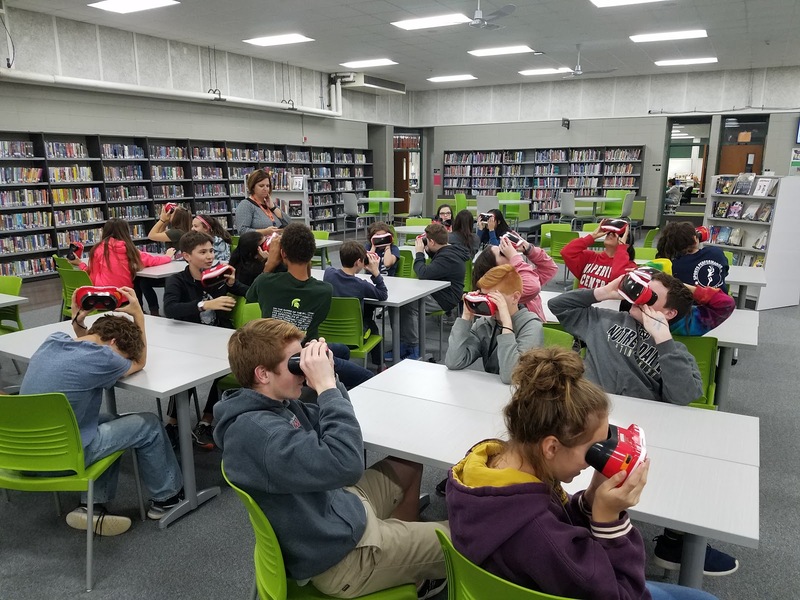 Another resource in our library is the Google Expeditions Virtual Reality kit that allows our students to “see” locations and content in a whole new light. Talking to health students about the respiratory system is one thing, but taking them inside the lungs themselves is a whole other level of learning. How can you focus on reading and literature in a library full of toys and gadgets? I get this question often. People assume with all of the Makerspace activities going on, I can’t possibly have a focus on literature or reading. That could not be further from the truth. In the past two years as we have made a push to increase Maker activities the overall circulation in the library has gone up. Kids are actually in the library checking out books more than ever before. The answer is really simple. Kids want to be in the library. The Makerspace activities has helped me create an environment so appealing to kids it is now being used as a reward on student behavior charts. :) Simply bringing kids into the library has allowed me to engage them in conversations about everything, including reading. Just as a teacher who builds a positive relationship with a kid can get them to do their work, a librarian who builds those positive relationships can get a kid to read anything.